Using the Arroba and James definition of stress as ‘your response to an inappropriate level of pressure’ (1987, p. 3), we can see that the psychological make-up of the individual is going to have a significant bearing on the experience of stress. Stress is not simply an inappropriate level of pressure, it is our response to that pressure. That is, there is a significant subjective dimension that needs to be considered if our understanding of stress is to be anything other than superficial. How we perceive pressures, what coping responses we use and what support systems apply will depend, to a large extent, on personality factors. 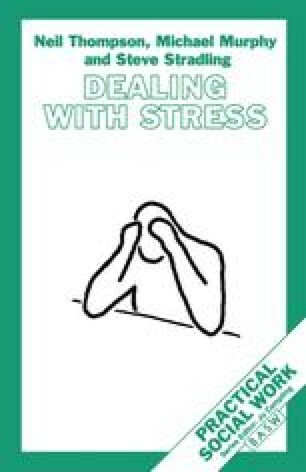 This chapter will therefore explore the issues of personality that can be seen to play a part in the management of pressure and stress.